Well rounded medium roast.Why is Kenco Smooth such an all-time favourite? Maybe it's the well-balanced and rounded flavour of the medium-roasted beans? Possibly the delightful aroma? Or could it be the superior smoothness? The only way to find out is to try it for yourself. Also available in Refill packs. 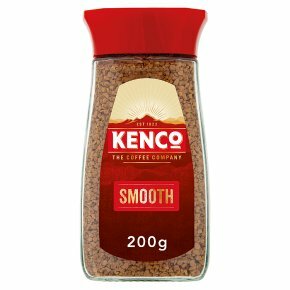 Enjoy your favourite Kenco taste - with 97% less packaging weight. Explore the rest of the Kenco range, from Barista Style Millicano Americano to Coffee shop style Cappuccino and Latte. Also available in Rich and Decaff variants.